Ignore the "new" tag on these gummies, they've been out for nearly 2 years. 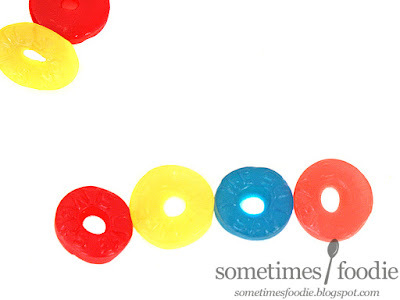 (Come on Lifesavers, stop milking it!) Even though they're far from new, I've never had them so I thought I'd give them a shot. 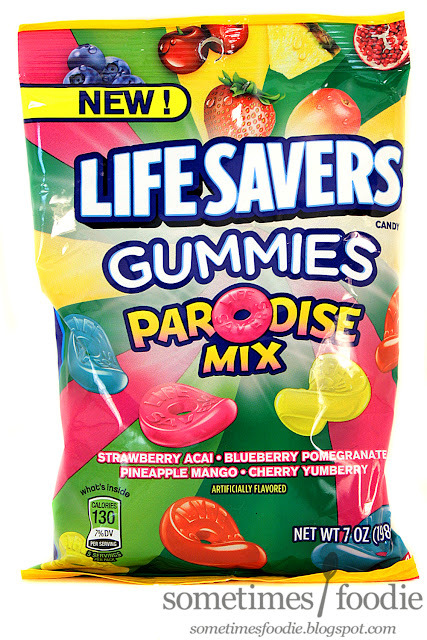 Lifesavers gummies are usually pretty good quality, so I have high hopes for these. Oh, oh no....That was bad and you should feel bad. 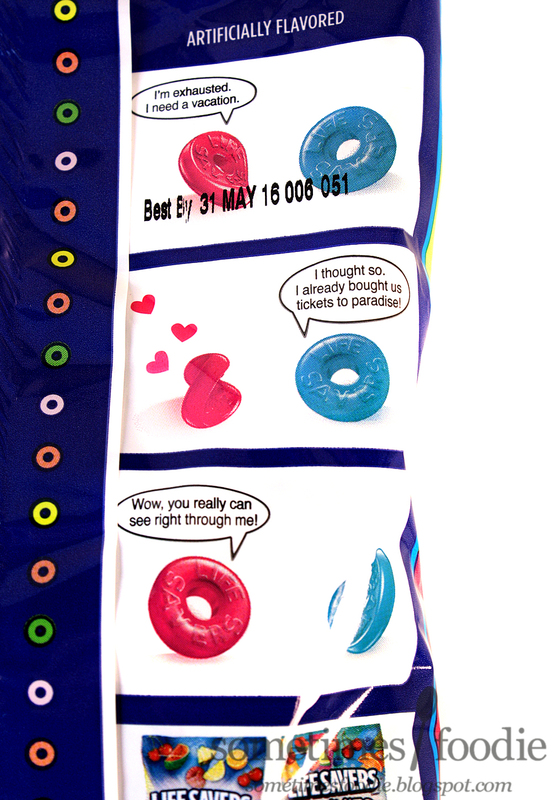 At least it's better than the last Lifesavers package I had. If memory serves...they made a "YOLO" joke. I think the design team for this company does a great job with layouts, and I usually love their products, but these jokes? They're stale and painful. Come on guys, you're better than this! Strawberry Acai (pink) - Starts out sweet and kind of flavorless, with a tangy strawberry finish. Kind of like a slightly unripe berry, but in a good way. Blueberry Pomegranate (blue) - This is so mild! 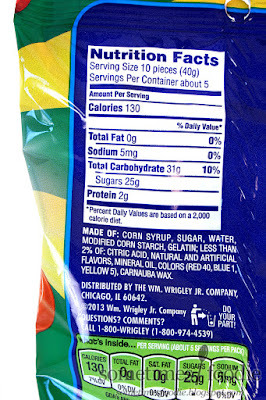 What is with all blueberry flavored things being so weak and unimpressive? Those Aldi Super Berries must have spoiled me. Compared to those, this is pretty pathetic. 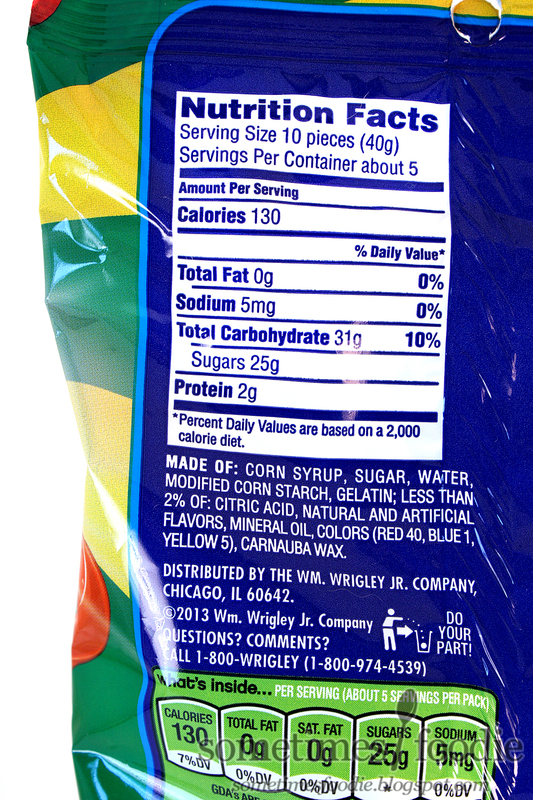 I was expecting something more intense and flavorful, since it is bright blue and all, but it's pretty darn weak. Pineapple Mango (yellow) - Sweet, slightly mango-y, with a pine apple finish. I wish the pineapple part of things was a bit tangier, but this is a pretty solid flavor. Cherry Yumberry (red) - I'm not sure what "yumberry" is, but this just tastes like classic Lifesavers cherry to me. It's enjoyable for what it is, but it seems really out of place in this mix. What about classic red cherry flavoring says "paradise?" Normally I love Lifesavers gummies, but this time they've left me cold. 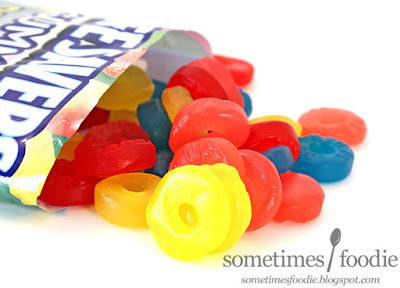 This mix is okay, but I've had way better flavor combinations in other bags. I still really like this brand, but this flavor mix was a definite flop for me.